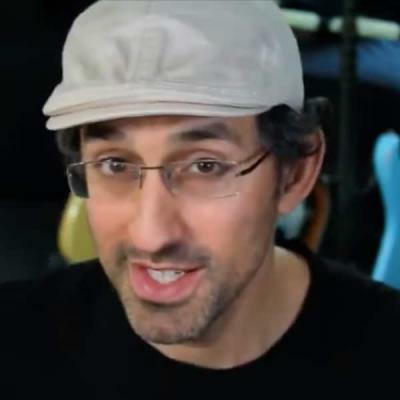 Do you want to learn how to play fast between the different pentatonic boxes... being able to connect them fluidly and seamlessly ...complement your bends with lightning fast horizontal runs...? Your journey begins here! In this first pentatonic scale lesson, I am going to reveal "the trick" which allowed me to venture out of the box thinking and start improvising my way around the fretboard. The first step of the lesson is to learn two pentatonic boxes that are adjacent. VERY IMPORTANT NOTE: This lesson is pointless if you don't know at least TWO pentatonic boxes (read on to learn them). Now, if you have been around GMC for a while, you are probably pretty tired of the first pentatonic box by now. I'll put it here anyway for those of you who don't know it by heart yet. The read dots are the root notes, the root note means the note from which the scale is based upon. The root note of an A minor pentatonic scale will of course be A. You need to memorise where the root note is situated for a number of reasons, one is because it is essential to moving the scale up/down to another key. Also, when practicing the scale it is extremely important to start from the root note (if you are note playing the scale to an A minor backing). If you don't, you run risk of hearing another note as the root note - and all of a sudden you are no longer playing the A minor pentatonic scale (let's say you are hearing the C note as your root note, you will then be hearing a C major pentatonic scale). This is the last thing you need to get down before you can start your horizontal soloing. As illustrated in the video, many guitarists tend to get stuck after having learned a couple of scale boxes. If you follow the mental exercise illustarted in the video you won't have any problems "breaking out of the box". The idea is to practice making a position shift on each and every string - so that you always will be free to play in any direction you want - no matter where your improvisation has led you. This is the only way I have found to achieve fretboard freedom. Do this for each and every string, and you will be a better guitarist in no time. Use the provided backing to practice position shifting in A minor pentatonic. PS Notice how the backing intro is harmonized in fourths (more about it in the GMC harmonizing lesson). I thought the lessons in this series were extrememly helpful.. The diagnal run from the third lesson (I think it's the third) is in my daily practice routine/I follow my speed progress on it with a metronome. Kris really "taught us to fish" with this series: I started to practice his patterns and then make make up my own little riffs, patterns etc and then play them ascending/descending in each of the 5 positions. I also started playing a pattern game called "Pick,Pick slide" - I start somewhere on the 6 or 5 string and then I sound the note with the pick,then pick the next note in the scale, then slide to the next note and do it again moving thru the 5 patterns accross all the strings as you "pick, pick slide" your way along... "pick, pick slide"...you really move thru the patterns doing it that way and you learn how they connct quickly. Seriously - I am glad this is working for you. My playing wouldn't be anything if wasn't for the pentatonic scale and all the interesting things you can do with it! good lesson, just one question. to bend up to the note in the scale from a lower note? Leon: Absolutely! The more variations you can think of - the better! sorry about posting this but im a little cofused about shifting to the root notes! kingjabba: Not usre I am with you - but the shift from 9 to 7 is the actual position shift! Best lesson so far for me, opened my eyes quite a bit. You say there are three ways of changing from box to box: To start with the last one you explained, is it required to pick the string twice, that's in both boxes before you switch box? Also i see you never use your pinky. The guitar teacher i had for half a year before i was sent to denmarks answer to a boarding school - allways told me it would be best if i used one finger per fret. eg: index for 4th fret the big mot... for the 5th fret ring for 6th and pinky for the 7th fret. hence is it okay to slide with the pinky? And what do you think about his advice? Probably better to bite the bullet and strengthen it up or you may limit yourself later on, depending on what style you play. Great lesson, but i have a doubt..Why are both boxes named AM if you play them differently? Is a Scale the same thing as a box? Also, just for curiosity, what makes a scale, a pentatonic scale? Each scale can be played in many, many different ways on the guitar, so we talk about patterns for a particular scale. For each scale there will be multiple different patterns. Boxes are an attempt to cut down on this variety and give you a selection of common and easy patterns that you can play in various places up and down the neck. For pentatonic, Major and Minor, there are 5 boxes that people commonly use, and since they all contain the same notes (though with different start and end points) they are all considered the same scale, just played as different patterns or boxes. Boxes are a great starting point for understanding the fretboard, but they are a tool that you should eventually discard, or they will end up limiting you. I go into this a little in my introduction to scales lesson. Ok, thanks andrew! so the formula is T-S-S-T-S? What makes a scale, a pentatonic scale, what does pentatonic mean? Which is a little harder to understand. Its called the Pentatonic because it has 5 notes in it (Penta = 5) - and since it only has 5 notes the gaps have to be bigger which is why you get tone and a half intervals in it. ok i get it now, well it seems ill have to start using numbers now. thanks andrew. Is the penatonic box movable around the fret board if the same pattern is followed? In other words can i start playin on the tenth fret E string instead ofthe fifth? Definately! If you use the first (of five) pentatonic box and start on fret 5 of E you will be playing A minor pentatonic. If you move that same shape up so you are starting on the E string fret 10, you will be playing D minor pentatonic. Do you have to play the notes in the same order in a scale box or can you skip a few notes here and there? What scales are good for metal? Once you have the notes down you can play them in any order you think sounds good - the timing and selection of notes is what makes a good riff, the scale is just a palette to pick from. .... ive been playing for years and ive been stuck in the vertical playing... thanks to the sliding into another box on this tutorial i went from playing 5 boxes seperatly to being able to move horizontally with ease in just a couple of hours. im more than happy to keep sending money your way if this is what i find. and the new organiser on the front page is amazing. thanks kris! 5---7/10 on the d string but in the sliding diagram for a minor there's no slide from 7/10. is this becuase there's another pentatonic box in a minor after the second one we can lear in this lesson? If I start in the 1st Am pentatonic box playing it ascending (I hope I haven't mixed the terms together! )starting on the 6th string, do I have to switch from a root note to a root note when doing the switch, or can I just switch from one note in the 1st box to the nearest note in the 2nd box on the same string? I'm really benifiting from this site, so it would be a shame if I learned something wrong. Hopefully my question made sense! The one thing.. I wanted to learn the most.. AWESOME!!! Improver my improvising like crazy! Thanks! This was THE PERFECT LESSON!!! When I started playing guitar, I learned the first box, the fifth fret one, that was my first scale. So when I tried to improvise, I always played notes around that scale. This lesson SAVED MY GUITAR PLAYING! Thanks! when going down the scale (the same scale, eg A minor scale), do you make hammer ons? sidewas lighting: the same as you! Keeping on playing the same scale forever... And now the light. I find this kind of a lesson EXTREMELY helpful along my way! This is perfect material for those who either find themselves having trained for years and not knowing anything about anything (like me), or for beginners who lack the motivation to train scales. This is good for motivating me! Login in the top right corner to write a comment.